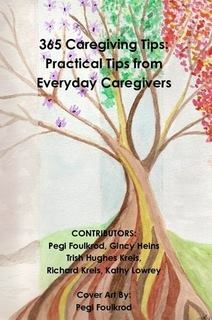 One of the core criteria for Lewy Body Dementia is hallucinations. You can read about symptoms here at lbda.org. Hubby has them but somehow he knows that the majority of them aren't real. Of course there are the occasional incidents of people in the house and some in our bed. Builders and workers doing things in the house and in the yard. Sometimes children or animals, etc. I feel like we are blessed that Hubby's hallucinations are not ever worrisome to him, or at least that he confesses to. And when he can't decide if it's real or not he isn't afraid to ask me about it and takes my word although sometimes suspiciously. The other day he was looking out the window of our front door and asked me "Where did that pig come from?" I never get upset when he asks about hallucinations, I always try to figure out what he may be looking at and mistaking for whatever, or explain that I don't see the things he does, so I walked to the window and looked out. 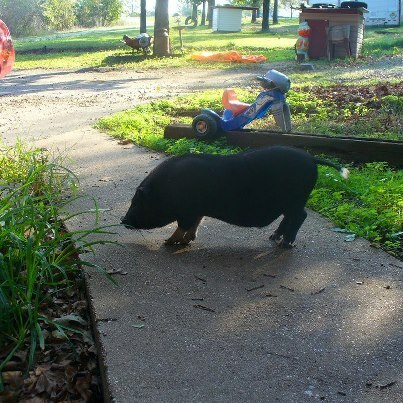 Sure enough, there was a black pot bellied pig in our yard! We have no thoughts as to where it came from. It was quite comical to me and I oh so much wanted to pet it but I may live I the country but I'm not a country gal so I was intimidated by the pig, although I did go outside and get close to it until I was uneasy about it, then I ran in the house. LOL! No hallucinations this time Hubby! Hubby has settled back into home and into our normal. I think about my respite time and how much I enjoyed it. It brings me comfort through the day especially since my return to aide issues. Our V.A. careplan expired BUT good news! They didn't wait for a month to renew and we transitioned to the new careplan without a lapse in care. That is would have transitioned but our regular "wash woman" is out for a while and we are at the mercy of fill ins when we can get them. So with life back to our normal and really not a lot to write about I thought I would share a couple fun moments with you. Oct 3 - Earlier this evening, Hubby, BIL (brother in law) and I went for a short drive. I saw an animal in the road "sleeping" and Hubby asks me what it is. I answer. So loudly I say "SQUIRREL!". I think I scared BIL and I feel like the cartoon dog on Up! LOL!!!! Well, you know what they say about paybacks. Confession time: So after my posts about Hubby and BIL last night and after my giggling stopped I was getting us all settled in for the night. While looking for my phone I remembered it was in my purse, but where was my purse? Not in any of the normal places , then it dawned on me. I left it outside on the porch chair when I was bringing Hubby inside, along with my house keys still in the door. :/ SQUIRREL! That's how things are at our house. 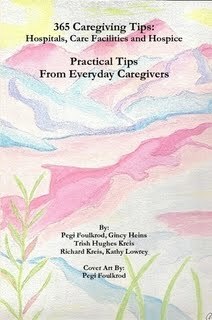 Kathy, The pig in the yard made me laugh, but we dealt a lot with hallucinations with Mom. They can be so hard on our loved ones. Sounds like you handle them really well with hubby. On another note, I just noticed your "Best of the Web" ranking. That's very cool. 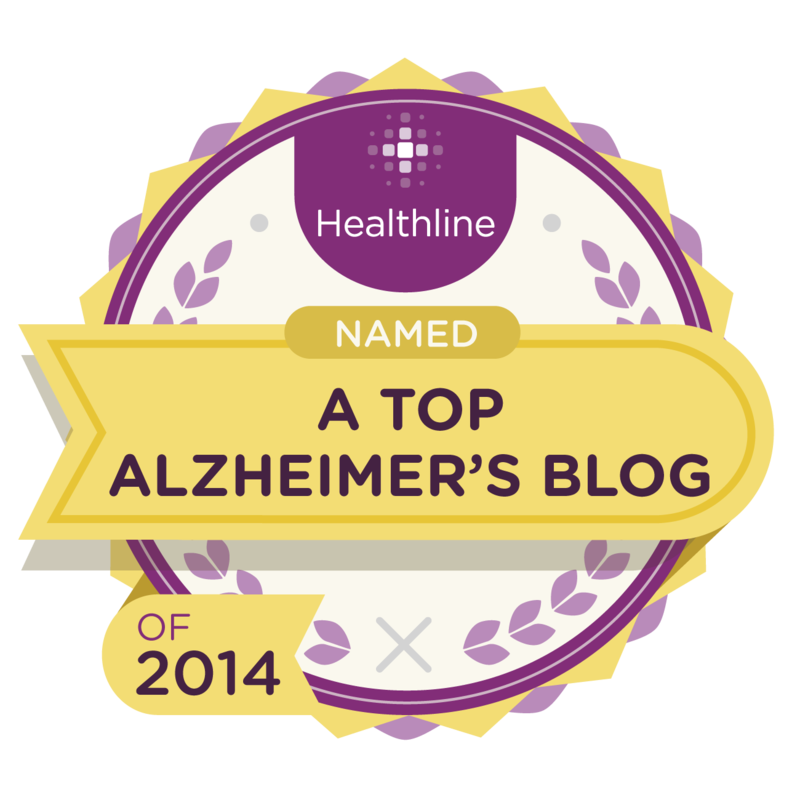 I'm sure many people find comfort in your honest blogs about life caring for a loved one with dementia. Keep up the good work!